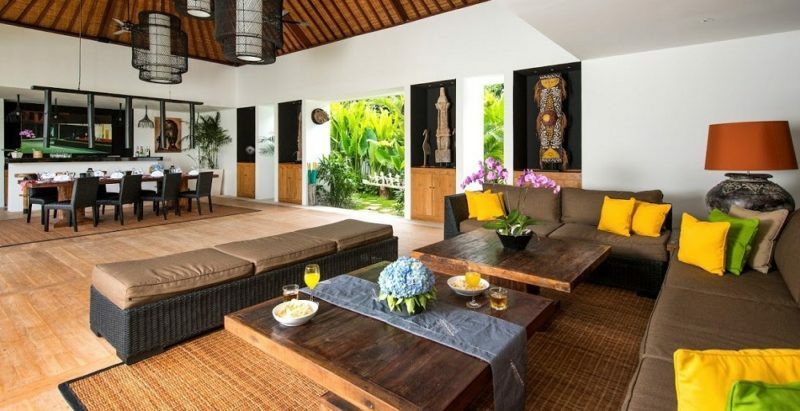 With two gorgeous luxury villas fused into one large holiday retreat, guests staying at Villa Anam enjoy an abundance of hang out spaces. Choose between lovely communal hubs such as the BBQ cocktail lounge by the poolside or find a quiet cozy spot with something to read. 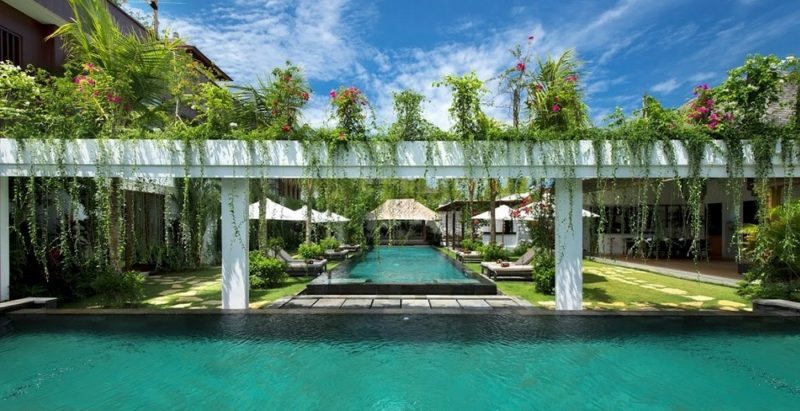 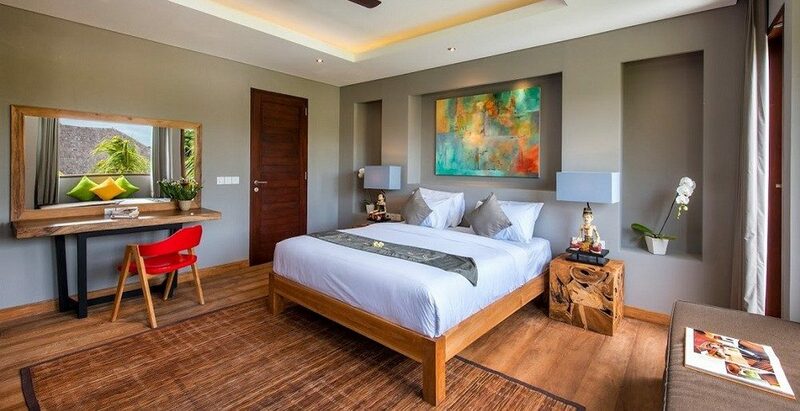 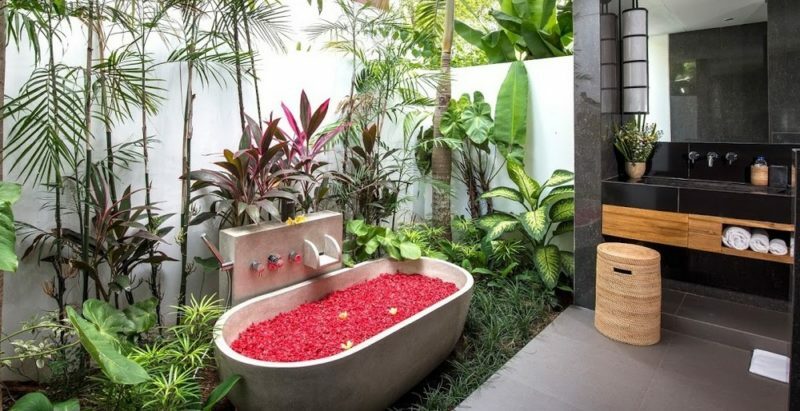 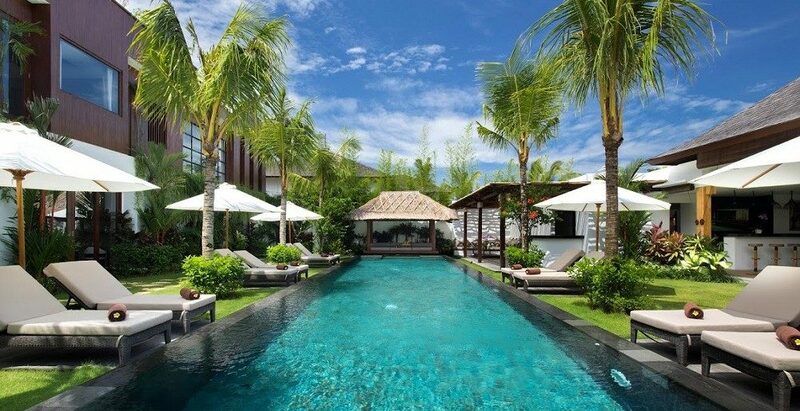 Villa Anam really is a paradise-like retreat! 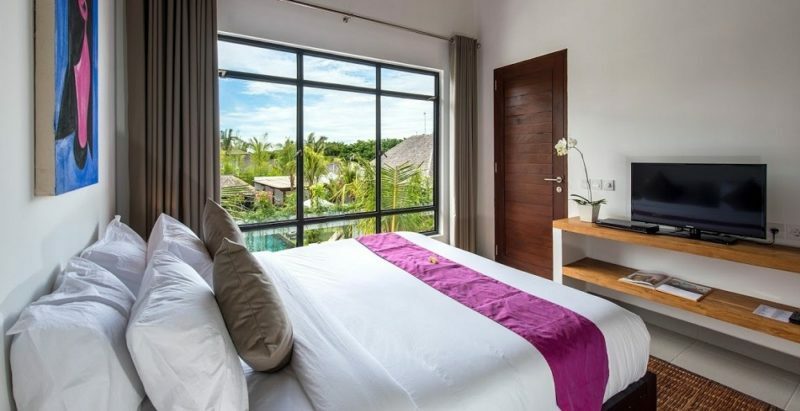 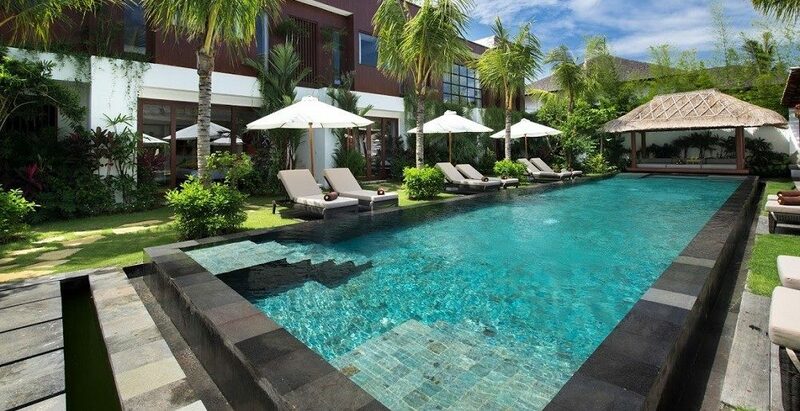 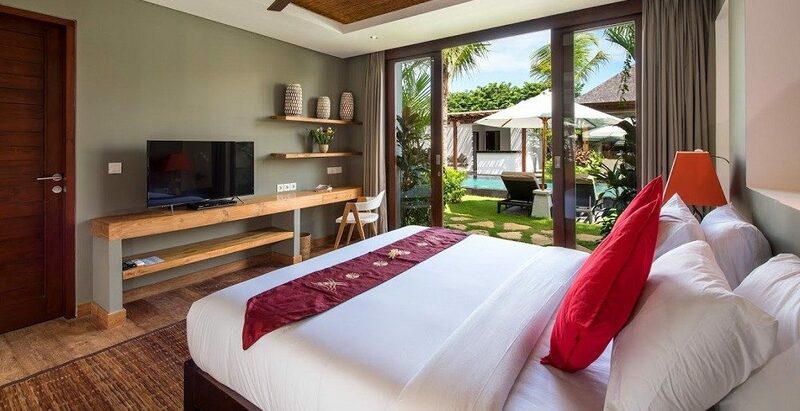 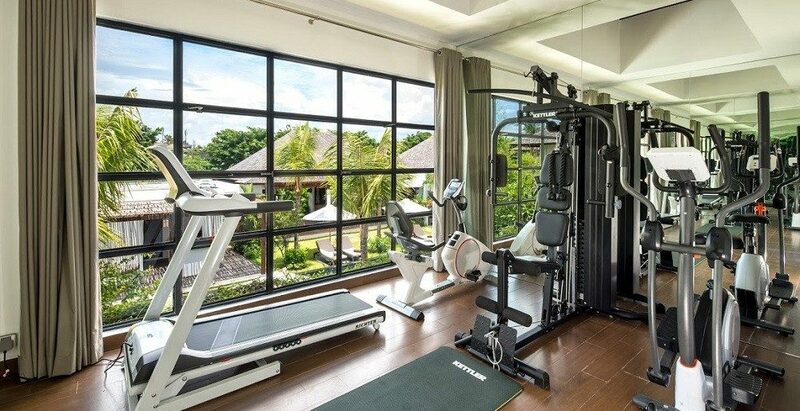 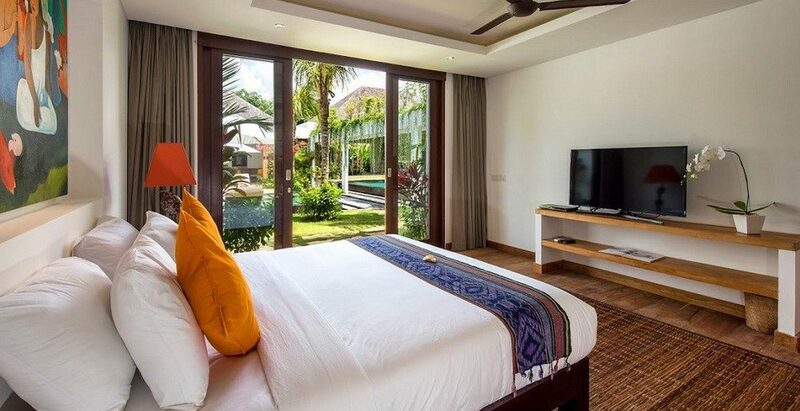 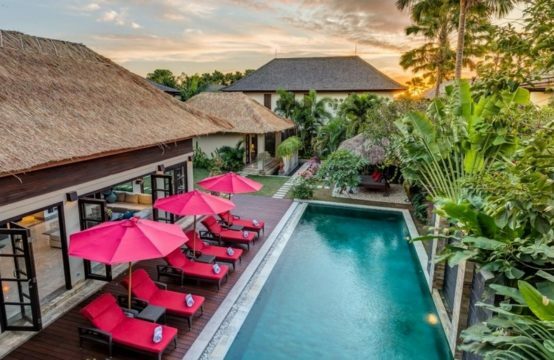 There are so many amazing facilities, that you’d almost forget to go out and explore the lively streets and the beach of Seminyak that await just outside your villa in Bali. 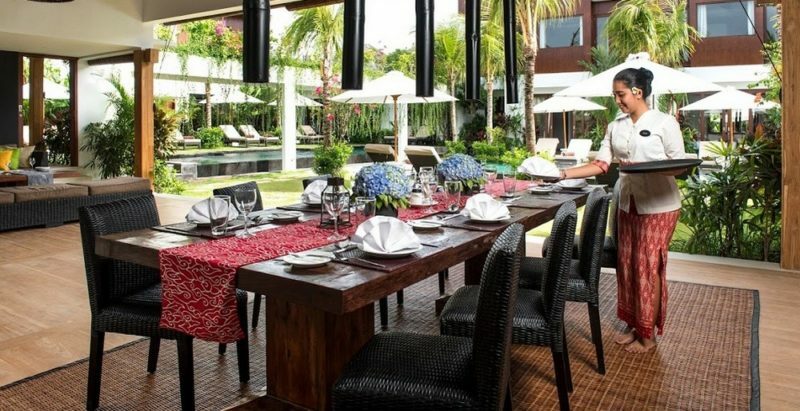 It is the ideal haven to spend quality time with friends and your family and kids will love staying at Villa Anam too. 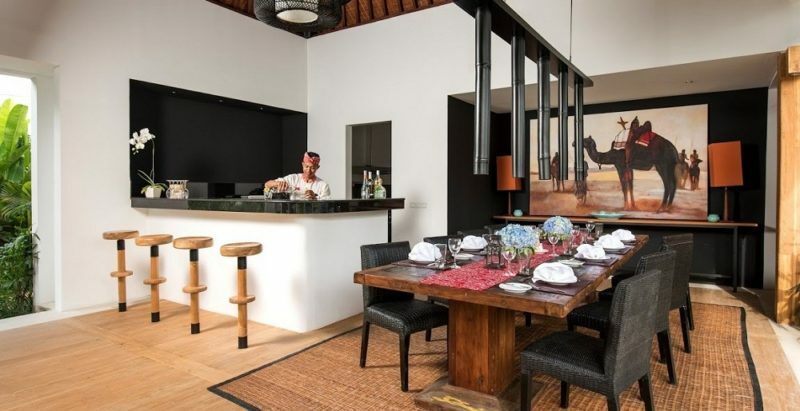 The two living pavilions feature high soaring traditional rooftops, gorgeous timber floorings, quality custom furniture and interesting collections of artwork including original paintings and tribal hand-crafted sculptures. 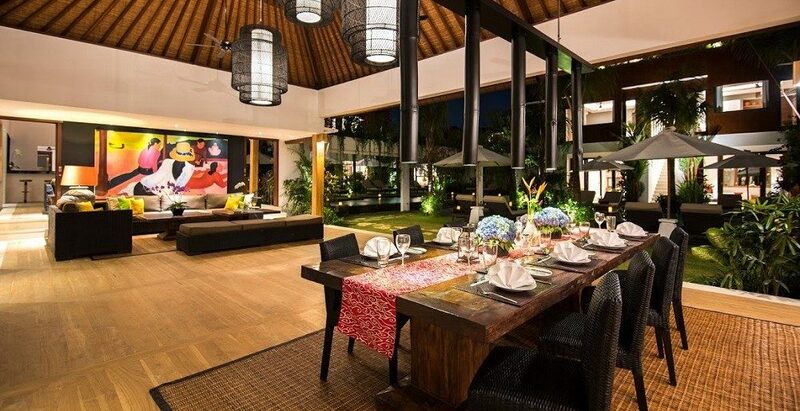 Each living room comes with a comfy sofa sitting area, a teak dining table and a fully equipped kitchen with a bar and stools. 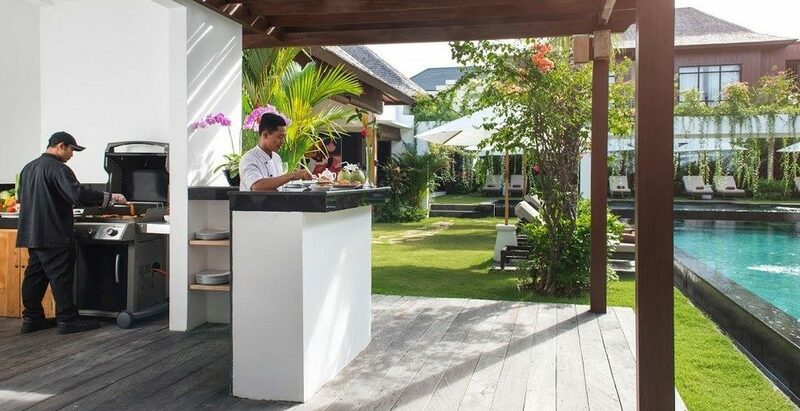 The living pavilions are designed open-plan – the tropical way – be prepared to fall in love with this easy way of living to the wonderful view of the garden and swimming pools. 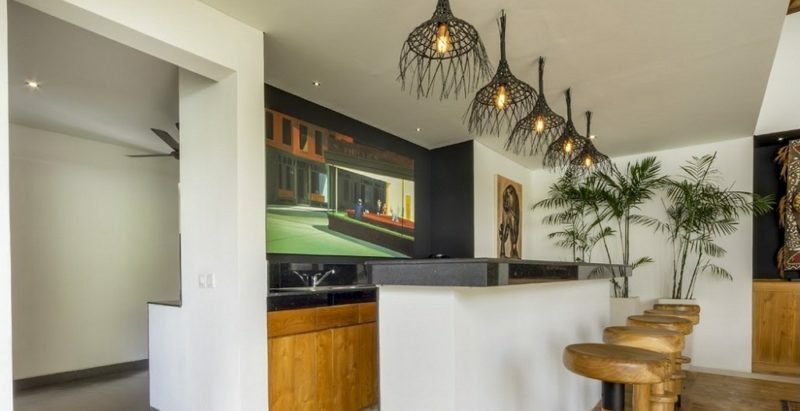 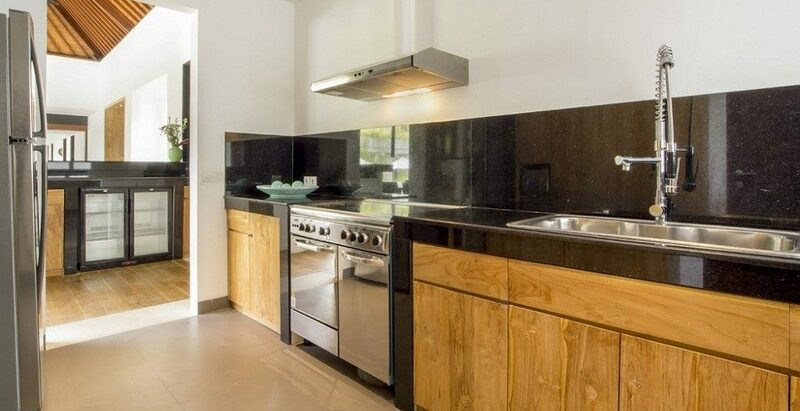 One of these state-of-the-art kitchens connects to a pergola-shaded outdoor BBQ bar, for terrific family garden parties with freshly grilled meat, cocktails and lemonade for the little ones. The garden of villa Anam is also wonderful, surrounded by lush tropical plants, flowers and trees. 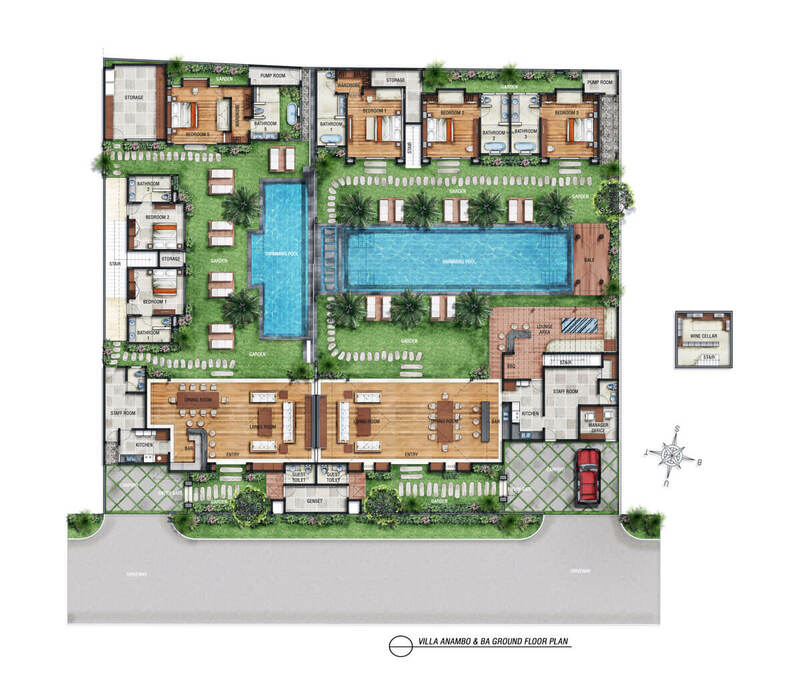 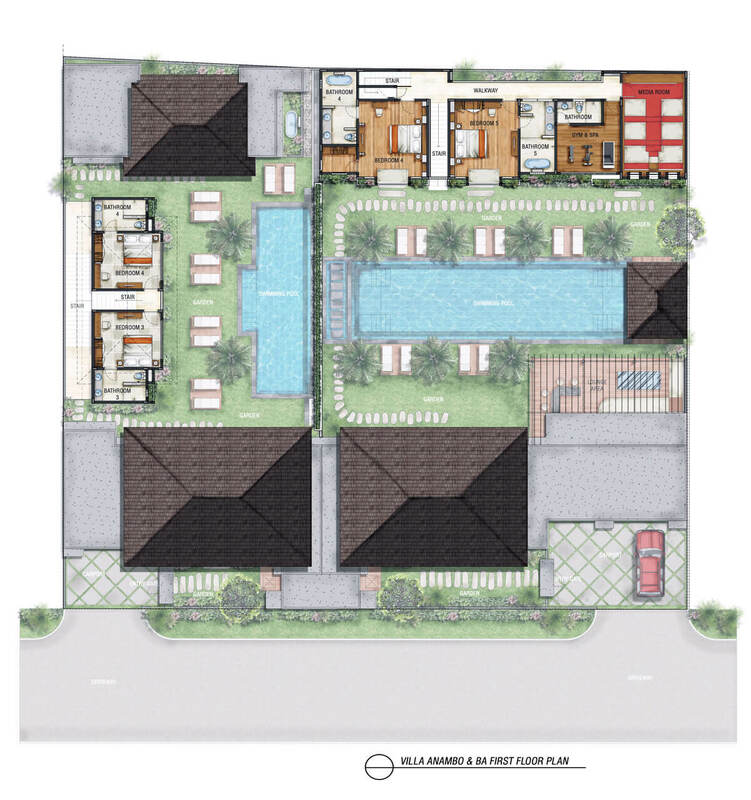 The two swimming pools are encompassed by timber sun tanning decks with reclining chairs. 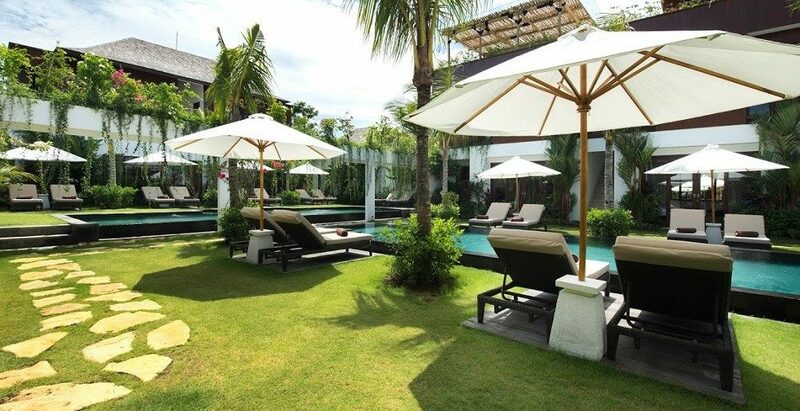 Shade is found on the day-beds in the gazebo’s and, there is a jacuzzi to chill out in as well. 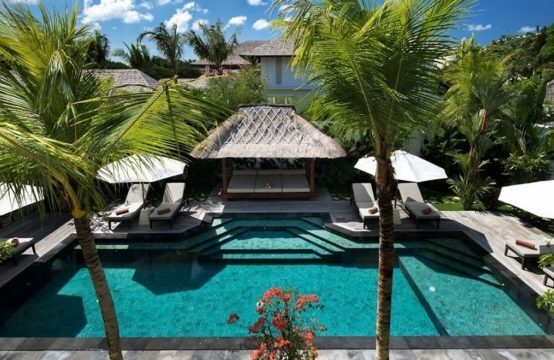 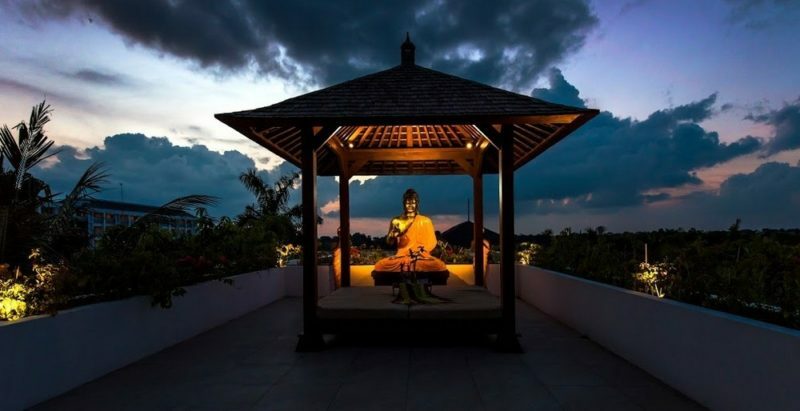 For entertainment and relaxation, villa Anam boasts a private sound-proof, surround-sound, 3D cinema, a private spa & gym and a rooftop lounge that is ideal for a yoga practice or sunset cocktails. The goodness just doesn’t stop! 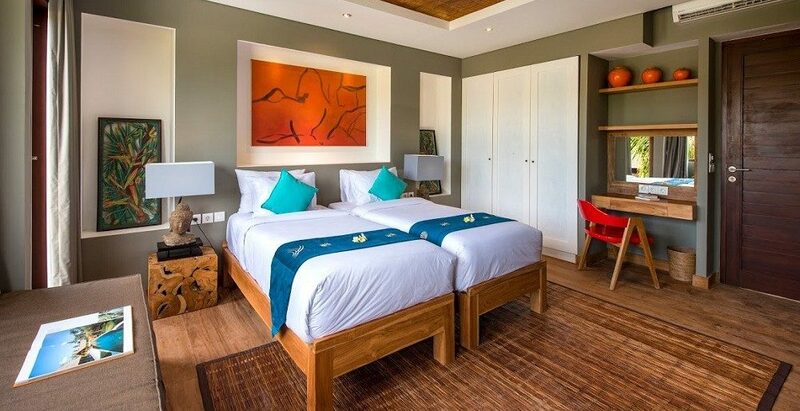 Did we mention that villa Anam also features its own wine cellar? 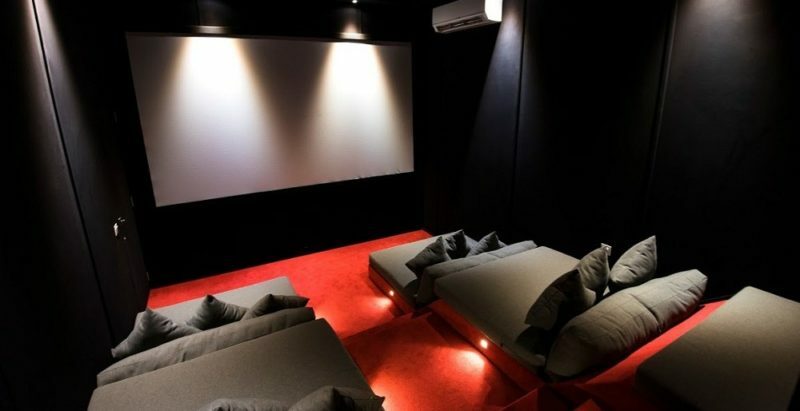 Seek out a good bottle of wine to share with your loved ones after the kids have gone to bed or while they are watching a movie together in the cinema. 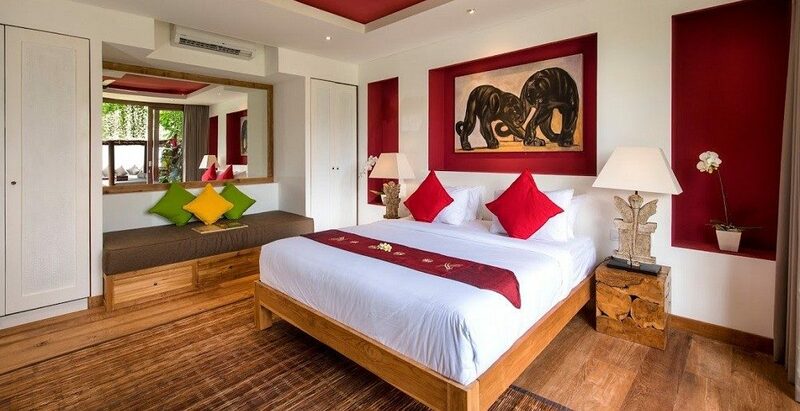 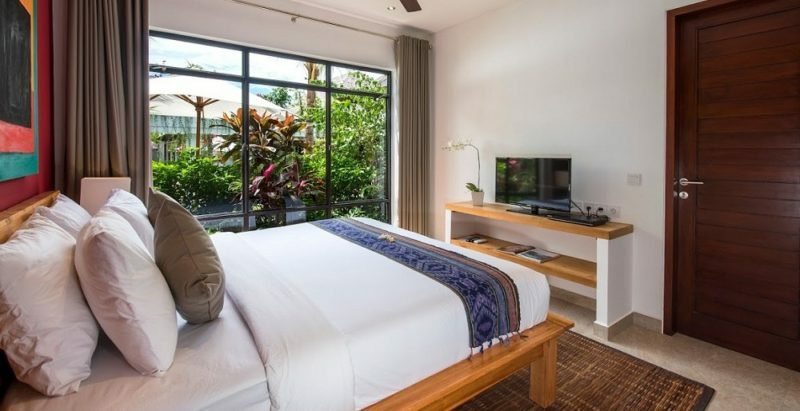 Villa Anam houses a total of 10 restful villa suites, two spacious king-bedded master rooms and eight guest bedrooms, 6 furnished with queen-size beds and two with twins. 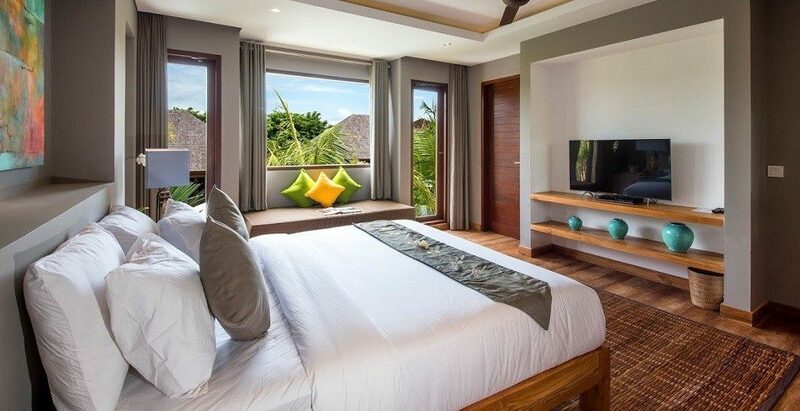 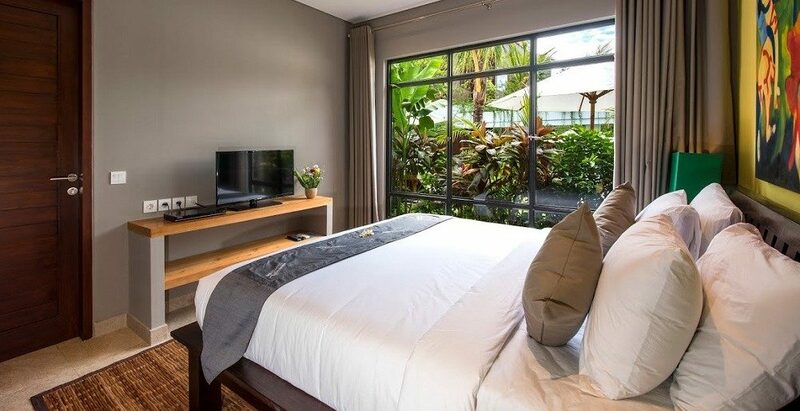 Each room is characterized by an individual color scheme but all rooms feature air-conditioning, satellite-TVs with DVD-players and they have their own private en-suite bathroom. 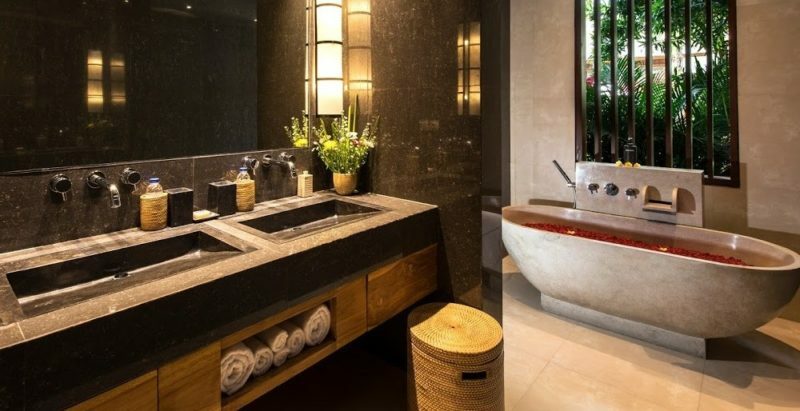 The two master suites come with sofas, walk through dressing rooms and they boast a large soaking bathtub in their en-suite to relax in at the end of the day.